Disney World can be a super fun vacation, but trust me when I say that it is not a place to visit without a plan. 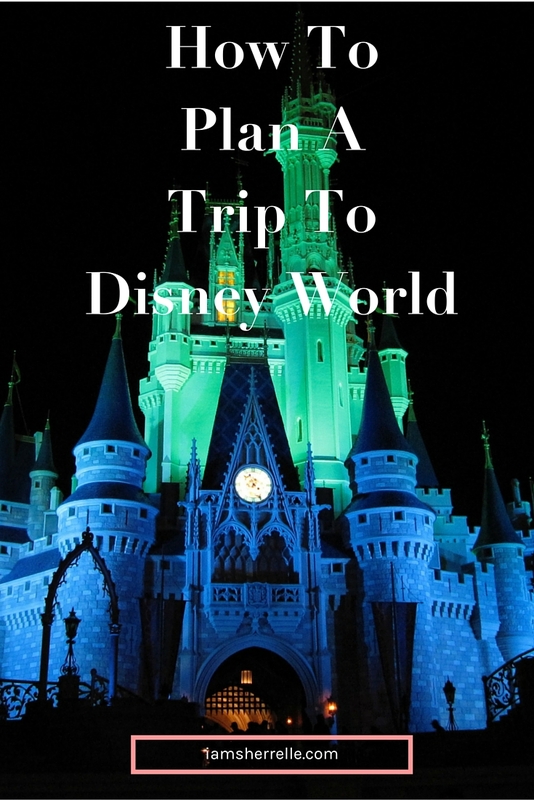 Your plan can be loose or it can be airtight, but you need some sort of plan because Disney World can be overwhelming. I will show you How To Plan A Trip to Disney World to maximize the fun and minimize the stress. 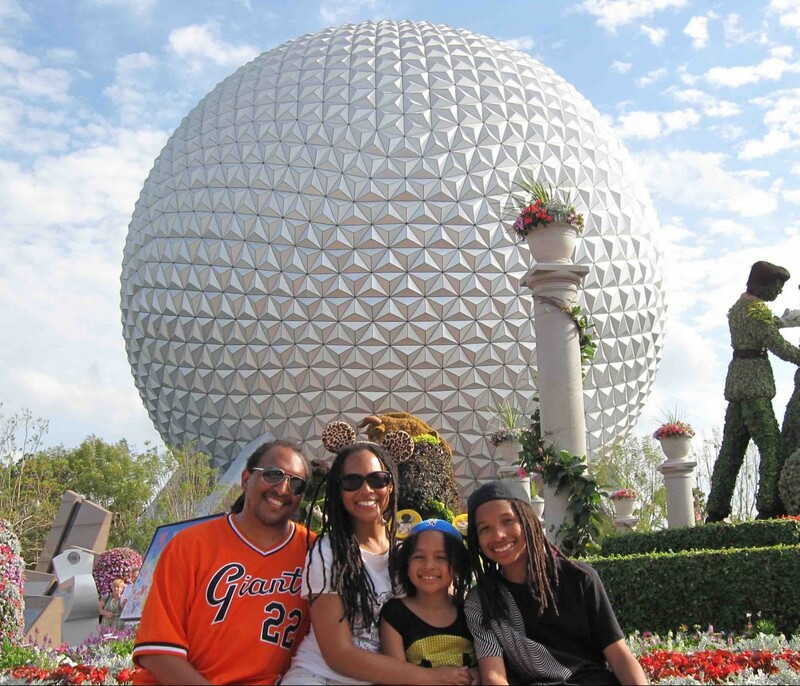 My family’s tour of Disney World was based on my kids’ ages, our interests, likes and dislikes (or fears) and my many trips to Disneyland. We haven’t ridden every ride or seen every attraction; sometimes we didn’t have time or it just wasn’t of interest to us. My husband doesn’t like birds, so we didn’t see anything related to birds and I’m the only one in my family who rides fast roller coasters. Despite our quirks, I hope that reading about our experience will help make your Disney vacation fun, (relatively) stress-free and most of all, magical. Our first trip to Disney World was quite a beast to plan. I don’t go anywhere without some sort of research and planning and Disney World was no exception. I read books, surfed websites, lurked on forum boards and read endless reviews. Now, I admit that I am kind of crazy about it because I like to always be well informed, but even I was overwhelmed with all the information. Finally I was able to put together a good plan for our first trip, test it in the field, take notes and use that knowledge for our latest trip. A good book to read is The Unofficial Guide to Walt Disney World and the accompanying website, touringplans.com. The official Walt Disney World website, disneyworld.com, is good for general planning or booking your vacation, but it doesn’t give detailed information on each ride, attraction, hotel and restaurant like allears.net, which is my go-to website for all Disney World information. Mousesavers.com is a great website dedicated to saving money at Disney World. When planning what parks to see on what days, look at the Crowd Calendar in The Unofficial Guide to Walt Disney World or on touringplans.com. On the off-season it really doesn’t make a difference, but during the busy season it can. Also, the book recommends that if this is your first time at Disney World (and you are traveling with kids) to see Epcot before Magic Kingdom. I agree with this because Magic Kingdom is the best and the most magical and my opinion, Epcot is the least; if your kids see Magic Kingdom first then they will expect every park to be like that and they aren’t. But of course some kids are just dying to go to Magic Kingdom and won’t rest until they do, so you may not have a choice but to see it first. Next, if you are staying on Disney property, see what parks have Extra Magic Hours on which days. If you are willing to get up that early or stay that late for the Magic Hours, plan your park days accordingly. You can find out the Extra Magic Hours on disneyworld.com or allears.net. By now you should have a rough itinerary of your days at the park and you can make reservations for table service restaurants. If you plan on eating at quick-service restaurants for your whole vacation, then you don’t have to bother with this step, but I would encourage you to have at least a few restaurant meals. For the most part Disney World has the normal quick service food—burgers, fries, chicken strips—and it can get old very fast and quite frankly it isn’t very good. But the restaurants at Disney World have very good food and we’ve had fantastic food experiences at several places. During the off-season you may be able to walk up to a restaurant and get a last-minute reservation, but during a busy season the reservations fill up very quickly. I made our reservations about a week before leaving home and I had a hard time getting the places and times that I wanted; it is best to call for reservations as soon as possible (up to 90 days before your vacation), especially for the more popular restaurants. Right now is good place to say a word about the Disney Dining Plan: On our first trip we didn’t have the Dining Plan, but we did on our last trip as part of a vacation package along with the hotel and park tickets. Comparing the two trips, I think we saved money with the Dining Plan, which is $39.99 per adult (anyone over age 10, so that’s 3 adults for us) and $10.00 per child per day. Each day included a quick service meal (drink, entrée and dessert), a table service meal (drink, entrée and dessert) and a snack (drink, ice cream, pretzel, popcorn, etc). Considering that an entrée or buffet at a table service restaurant can easily run $26 for adults or $10 for a kids’ meal, it’s a good deal if you like to eat in restaurants (and we do). Since we paid for the Dining Plan up front before leaving home, it made our vacation feel all-inclusive and we didn’t have to think about how much we were spending on food. However, there are a few drawbacks to the Dining Plan. First of all, it’s a lot of food! Some days, especially if we had a big table service lunch, we didn’t even feel like eating dinner, but we did anyway. Also, it is way too much dessert (two a day!) and since we had already paid for it, we felt compelled to eat it (most desserts were excellent, but still that’s too much). And having a snack everyday was too much as well, although you can use it for water (we didn’t; we had snacks). All in all, if you are foodies like we are and enjoy eating at least one good meal everyday in a restaurant, then the Disney Dining Plan is a good option. Sometimes Disney World runs promotions and offers the Dining Plan for free if you book a vacation package so it’s always worth going to disneyworld.com for details. Depending on what time of year you go, it can be very hot in Florida. When we went in October, it was much hotter than I had anticipated and I should have packed tank tops for us. Conversely, one of the days during our April vacation was freezing cold and we didn’t have the proper clothes at all. If you are going in the fall or spring, I would be ready for any kind of weather and pack shorts, jeans, tank tops, short-sleeve tees, a long-sleeved tee and a few hoodies. A couple of umbrellas and rain ponchos will come in handy if it rains (and it often does). I bought a small Coach purse for our first Disney World trip that I used to hold my phone, Flip camcorder, camera, driver’s license, lipgloss and Key to the Kingdom card (hotel key, park admission and Dining Plan all in one). I saw that many people had the same purse as well and it was perfect for touring the parks all day. I hate to put it like that, “surviving”, but walking around all day in the parks can wreck havoc on your feet, your legs and really your whole body. This is the first tip: wear athletic shoes. I know, I know, so unfashionable! It was really hard for me to sacrifice fashion for comfort, but it was more than comfort, it was survival. Flip-flops are not even an option (although we saw plenty of people torturing their feet this way). I actually saw a mother reprimand her daughter for climbing on a rock because she could slip while wearing her flip-flops. Stretching in the morning, while waiting in line at the parks and again at night will go a long way to help keep your muscles limber; a little yoga also would be great. And we should have used the hot tub more to un-kink our body at the end of the day; if you have a hot tub where you are staying, use it. And finally you need a sense of humor. All that excitement, the crowds, the heat, different hunger times, energy levels and bathroom stops, someone is bound to break down at some point during the day and it can either be funny or disastrous. We did have a breakdown or two, but for the most part we used humor to keep the stress level down. *My tips are assuming that you want to experience the attractions (movies, live shows and rides) at Disney World. If you are there to soak up the atmosphere—and that could be a very nice vacation—then you don’t really need touring tips; just wake up, pick a park and go at it. But if you want to experience the attractions and get as much Disney fun out of your vacation as possible, then these tips should help you have a more enjoyable time. Our first trip in 2006 was off-season in October; by using the touring plan that I made and getting to the parks early, our average wait for a ride was 5 minutes and the longest we waited was 15 minutes. It was heavenly and made for a very relaxing trip, but we didn’t know how good it was until this last trip when the average wait for a ride was at least 70 minutes and stretched even to 200 minutes for the most popular rides. Disney World was at full capacity and several times they quit admitting guests to Magic Kingdom by late afternoon; it was the busiest time EVER to go to Disney World. My first piece of advice would be to not go during the busy season, which is around any school holiday and in the summer. If that is not an option or you want to go anyway (like we did this spring break, knowing that it would be crowded), then the next piece of advice is to get to the park before it opens and use the Extra Magic Hours if you qualify. The days that we got to the park 30 minutes before it opened and rode the most popular rides first, it was a more enjoyable day. The days that we slept in and got to the park in the afternoon, the lines for the rides were crazy long and in some cases there weren’t even any FastPasses left. But in the last couple of years my daughter has stopped taking naps and refused to even stop and rest. If you have kids like mine, bring along a few distractions like a coloring book and crayons (my son had his iPhone to play with), so when YOU have to take a rest at the parks for an hour, they have something to do. Also, if you are on vacation for more than four days, build in a non-park day midway through to just hang around the hotel, swim or visit Downtown Disney; even high energy kids like mine hit a wall about on day three and needed a break from the parks. And my last piece of advice—and I can’t stress this enough—is to have a plan. Having experienced both extremes, I can say that while it is nice to have a plan during the off-season, it is absolutely mandatory during the busy season. Research what the most popular attractions are, what appeals to you and plan accordingly. In general, if you get there before the park opens, get in line or FastPass the most popular attractions first, then by late morning you can see the least popular/crowded attractions at a leisurely pace and in any order that you please. On our first trip in 2006, I knew through research that Tower of Terror was one of the most popular rides at Disney’s Hollywood Studios. I heeded advice and we were at the park early and standing at the end of main street 15 minutes prior to the rest of the park opening. Of course there was a large crowd with us as well and we could feel the pulsing energy and instinctively knew that we had better be ready. Since only my son and I were riding, we took our place and as soon as the park announcer gave the word, we were off! I had never seen anything like it; people would have ran if they could have, but the Disney employees made us walk behind them all the way to the ride. As crazy as that was we were the first people to ride. What a thrilling way to start the day! At Epcot I knew that both Soarin’ and Test Track were popular rides. The plan was to send the rest of the family to Test Track to get in line while I got FastPasses for Soarin’. Well, I had no idea how big Epcot was (so much bigger than the other parks), how popular Soarin’ was or that it was located inside a pavilion on the bottom level. I sped-walked to the pavilion (along with a huge crowd), got inside and just became overwhelmed when I saw the rush of people going down the escalator to Soarin’. So I left without getting the FastPasses and walked way on the other side of the park to find my family at Test Track. That was a mistake. As we eventually found our way back to the Soarin’ pavilion and got FastPasses for much later in the evening, we had to re-route our whole day to accommodate the late time. In other parks it’s not such of a big deal because there is less distance between attractions, but at Epcot criss-crossing the park or doubling-back can be exhausting. Your touring plan can be as detailed or simple as you want, just have one (of course allowing for flexibility in park crowd conditions, weather and the temperament of your crew). Touringplans.com has several touring plans already for different situations or you can make your own on their website (for a small fee). You can also just type up what you want to do in a Word doc or circle what you want to see on a park map. Just being familiar with the park layout, reading up on some of the attractions and knowing what’s popular (and potentially crowded) can go a long way towards being prepared. Are you planning your Walt Disney World vacation yet or did I scare you? In Part 2 and Part 3 I talk about our experience at the different Disney World Parks: the attractions, food, what we liked and what we didn’t. *If you missed our road trip entertainment on the way to Disney World, you can see it here. Hilarious. Wow! Sounds incredible….and a little intimidating. But definitely great info. Off to read part two! Latoicha, you should see if your travel dates in August fit with the special Disney has for the free Dining Plan; that could be a lot of money saved! The meal plan option is something new to me. Thanks for the information. When we went, we just went with the flow, but I felt with spent too much money on food. This meal plan is a great option. I plan to go this summer for my son’s 5th birthday. These are great tips as it will be a busy season! You really should write for Travel Magazine…maybe they are reading…lol! Memories! I’ve been to Disney World many times but not Disney Land. I was unaware of the book. Traveling with a 1 year old is great because they don’t have an opinion! Everyone in my family have different levels of energy and different ideas of what they wanted to experience–it can get crazy! Wow you are so thorough! We went without a plan as we traveled with a 1 year old! Had a blast – it never gets old! Have you ever seriously considered doing this professionally…or are you already doing it?